Duplo Lego toys are worth buying. Our team of enthusiastic deal hunters has gathered and tested the latest deals so you can be assured Here at Latest Deals, we will provide you with information about the latest cheap Duplo deals and offers. Get access to awesome product options on amazingly great discounts plus you get to choose from the most reliable online retailers. Save as much as 60% when you buy from Amazon, Argos, ASDA, and other UK sellers. Here you can compare and look for cheap Duplo items online most especially if you have a limited budget. LEGO 10847 DUPLO My First Number Train ***4.9 STARS*** Save 77%! 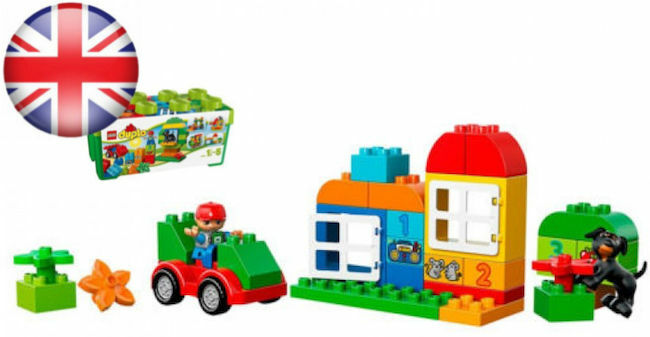 All the best Lego Duplo sale in the UK! Duplo is one of the most innovative products of Lego. It is marketed towards children ages one to five years old. It was first launched in the year 1969. The set has cars, figures, trains, and houses. During that time, It only has four colours which includes red, yellow, blue and white. A year after that, two more sets were included. They were the blue and red wheel plates. It was only in the year 1975 when Duplo became a product of its own. In 1983, Duplo figures are launched and come come with moveable head, legs and arms that resemble Lego mini-figures. Most of the Duplo Lego bricks are twice the usual length, width and height you are accustomed to so that toddlers and preschoolers can play with hem easily. You should not worry as well because kids will not be able to swallow them. Lego initiated to obtain the license of Duplo for Bob the Builder and Thomas & Friends characters. However, they have been discontinued already. Now, the sets are made of town, zoo, pirate lines, and castle. A dollhouse was launched as well. 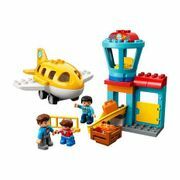 Duplo Lego sets are fantastic educational toys for your kids that can help develop their learning skills. You don’t have to sacrifice your budget to get the latest Duplo box or Duplo sets for toddlers with the help of Latest Deals. 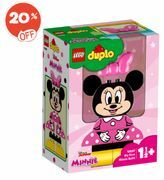 We have Lego Duplo sale from top UK retailers where you can get bargain deals on Duplo family house, Duplo house set, Disney Princess Duplo, and so much more. Our massive community of bargain hunters is always on the lookout to find the best possible Duplo deals across the country. We have discount codes, deals and special offers just for you. We also have a team of money-saving experts who regularly share essential shopping tips and tricks that can help you get some serious money off on your online and instore purchases. 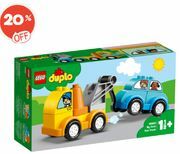 These toys are the perfect gift for your children on their birthdays and Christmas, so make sure to take advantage of the Duplo Lego UK offers we have here. 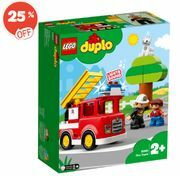 Make sure to use the latest Duplo discount codes upon checkout and enjoy fantastic money off. Keep in mind that our offers here are for a limited only, so once you spot a deal you like, grab it right away before it expires. Also, if you don’t want to miss out on every day low prices and special offers, bookmark this page now! Backyard Clinic. This Backyard Clinic is suited for Doc McStuffins fans. It can be a recreation from their favourite scene from the show. Let your kid flip the Susie Sunshine brick. The number of pieces is easy to handle so do not worry. DC Comics Super Heroes. The set features two heroes - Batman & Robin. It also goes with two more characters with Poison Ivy and Joker. This will enable your crime-fighting kiddo to have a good time. Mickey & Minnie Birthday Parade. The Mickey & Minnie Birthday Parade is another cost-effective choice that will not bend your budget. My First Cars and Trucks. For kids who love vehicles, My First Cars and Trucks will definitely work for them. It may be for children whose ages are one to four. Usually, instructions are provided. Players can also go away from all these. They can mix and match, eventually. Big Farm. Your animal-loving child will surely love this. The Big Farm from Duplo promotes long hours of playtime. Make the most of the calf, horse, cat, and other related figurines. Cafe 10587. The Cafe 10587 is for little girls who imitate restaurant scenarios all the time. The best offering of this is that it can be set up in various means. It come with accessories that include food items, kettle, baguette, and a cash register.